The last will and testament of Huegette Clark, the reclusive copper heiress who died at the age of 104 last month, was filed today by a New York law firm on behalf of her estate’s co-executors. 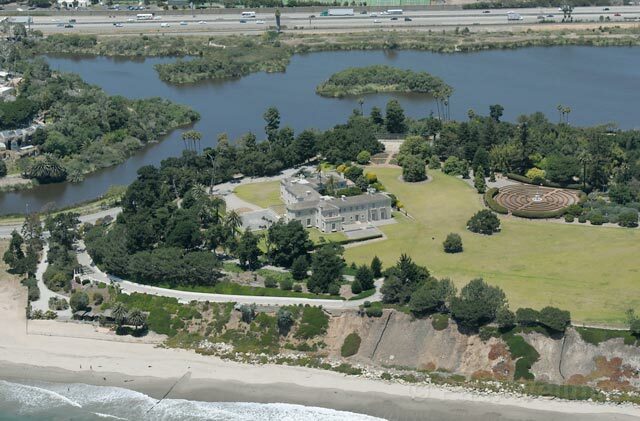 In the nine-page document that spells out how to divvy up her $400 million fortune, Clark instructs that a foundation be formed to turn her sprawling Santa Barbara estate on East Cabrillo Boulevard into a public, permanent art museum. According to a statement issued by the attorneys representing co-executors Wallace Bock and Irving H. Kamsler, the 21,000-square foot mansion will house her extensive collection of priceless paintings, which includes works by Renoir, John Singer Sargent, and William Merritt Chase, as well as rare books, musical instruments (a Stradivarius violin among them), and other objects. Most of the collection is currently housed in Clark’s Fifth Avenue apartment in New York. Clark herself hadn’t visited the Santa Barbara grounds – which total more than 24 acres – in more than 50 years, but had it meticulously maintained throughout her lifetime. 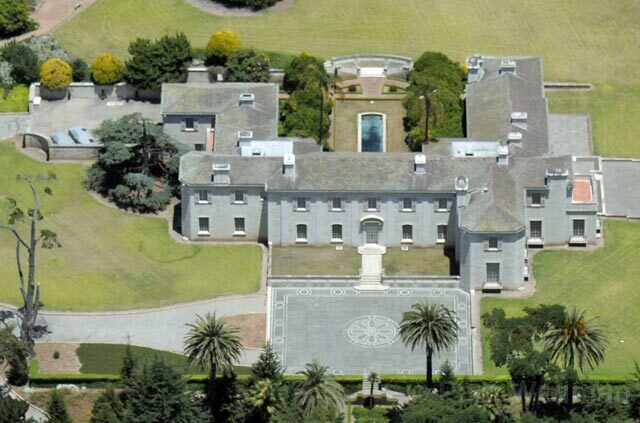 Designed by Biltmore Hotel architect Reginald Johnson, the estate is reportedly worth $100 million. The organization and curating efforts, Clark instructed, will be spearheaded by the Bellosguardo Foundation, named after the home itself, Bellosguardo, which means “beautiful view” in Italian. The nonprofit has been registered in California and New York. “It is in this beautiful seaside setting, with its formal gardens and grand galleries displaying magnificent artwork not seen for many decades, that Mrs. Clark’s passion and inner being will come to life,” said James Hurley in a prepared statement. His Santa Barbara law firm handled the California affairs of Clark and her mother Anna for the past 80 years. John Dadakis, who chairs the law firm dealing with Clark’s will, said the document must first be probated before anything moves forward. He said Clark – a painter herself who produced over 50 pieces and had a deep appreciation for the artistic process – wants the museum to be a place of learning and not just viewing. “She was a true student of the process of art,” Dadakis said. Dadakis believes the estate, when converted, won’t turn into a huge attraction like the Getty, and that traffic and parking requirements could be ironed out without too much trouble. Extra security will likely be added to the already airtight property, he went on, and renovations, though substantial, won’t be overwhelmingly massive since the estate is still in pristine shape. While the Bellosguardo Foundation will take control of the vast majority of Clark’s collection, she specifically states in her will that one of Claude Monet’s paintings from the his famous “Water Lilies” series will go to the Corcoran Gallery of Art in Washington, D.C. Her late father William Andrews Clark – a Montana senator who struck it rich in the railroad and mining industries, and from whom she received her fortune – was also an avid art collector and donated his entire collection to the Corcoran. Instead, she chose to leave whatever money is left after the Bellosguardo Foundation and museum are formed — which will eat up around three-quarters of her $400 million — to her assistant, accountant, property manager, property caretaker, lawyer, and goddaughter. Her longtime nurse will receive around $37 million.